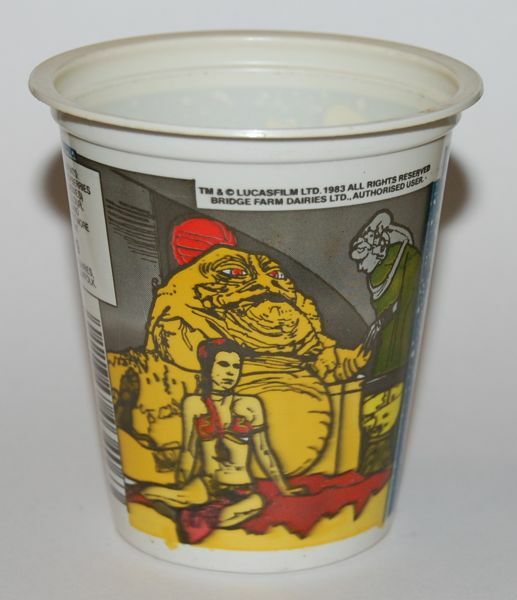 On the front of the cup you can see the line drawing of Jabba that adorns so many pieces of vintage merchandise, and on the back is another picture with Jabba, Leia and Bib Fortuna. It’s funny in a way, but items like this are often the hardest to track down, even if they aren’t really all that valuable. 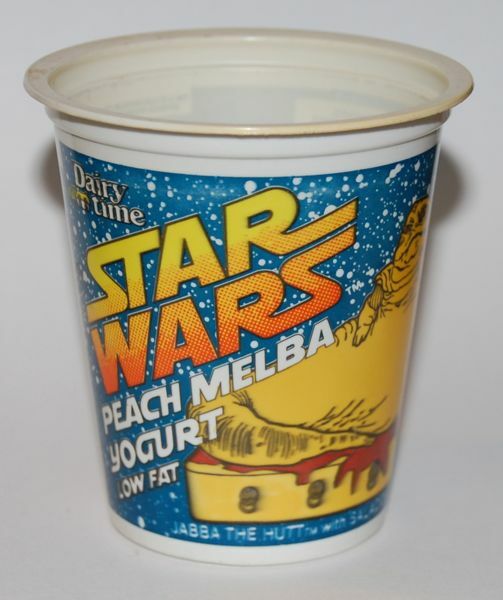 Most people tossed their yogurt cups in the trash when they were done, so there is a limited number of these left. There’s also not much in the way of Jabba-themed foods. About the only thing I can think of at the moment are the vintage cookies from Pepperidge Farm.